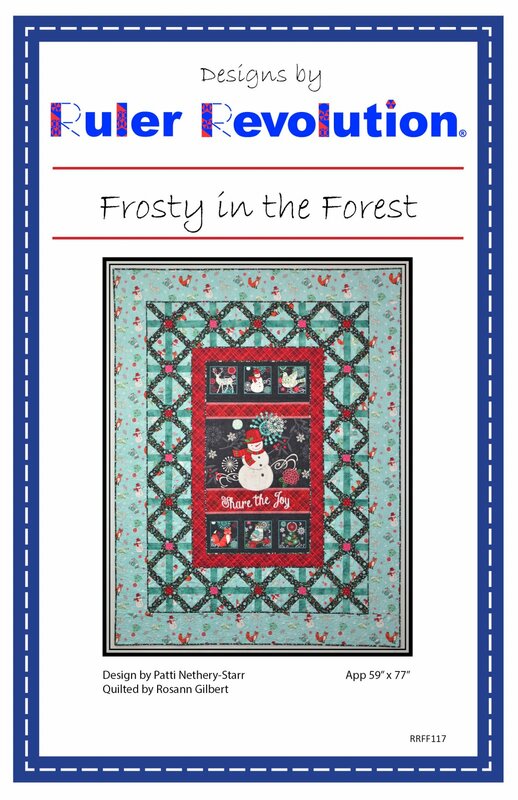 This fun and whimsical Christmas Quilt measures 61 1/2" X 80" and is combination of pieced blocks and a fabric panel. Panels are available in numerous prints and themes. So, simply changing out the panel and using coordinating fabrics, a totally different theme can be constructed. Sew easy! Panels typically measure 24" X 44". However, I trimmed mine to 23' X 41 3/4". Piece this quilt quickly using the Ruler Revolution Leaf Stem ruler to construct corner units of the blocks.